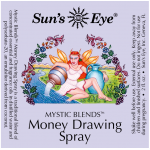 Money Drawing Spray, with earthy top notes in a base of Heliotrope, is formulated to attract material wealth. Use it to bring more good into your life. 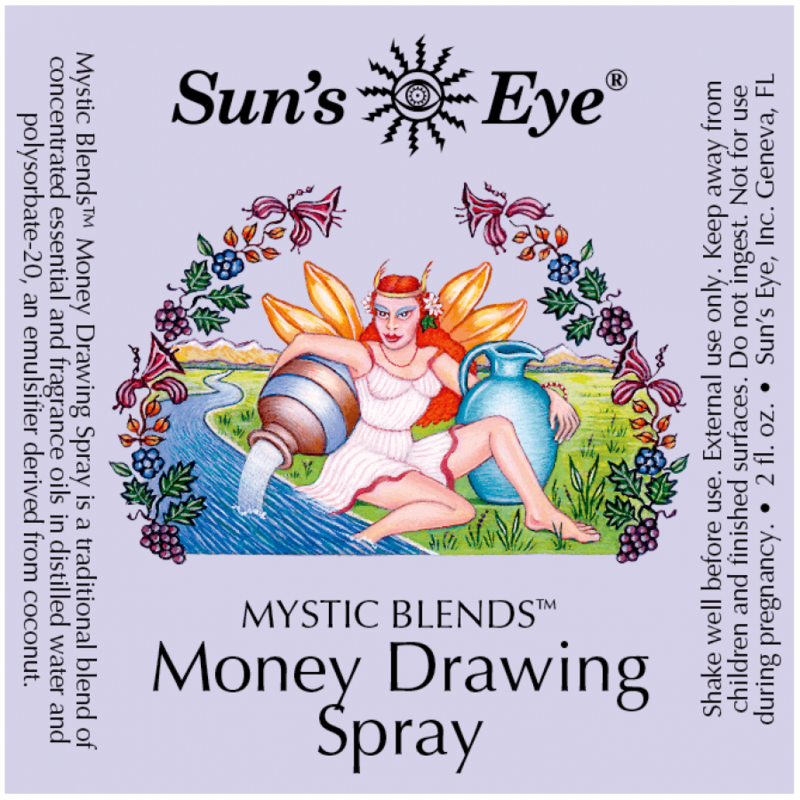 The fine mist of Money Drawing spray is great to spray on money in your wallet, spell candles, money charms and mojo bags, etc. 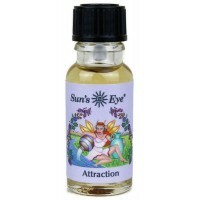 Choose a small 2 oz or large 8 oz pump spray bottle that produce a super fine mist. Great for cleansing dorm rooms and apartments where incense is forbidden. Lightly mist your ritual tools and tarot cards between use to cleanse them of negative energy. Made with a traditional blend of essential oil in filtered water and polysorbate-20, an emulsifier derived from coconut. Item Number: SE-MDX | Approximate Size (Inches): 3.00 wide x 3.00 deep x 6.00 high | Approximate Shipping Weight: 0.50 lbs.